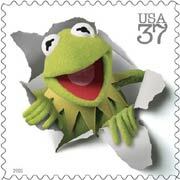 Today is Kermit the Frog's birthday. He is 50 years old. What a frog! Nice tribute on NPR this a.m.